Apple has launched a new app for iOS devices. 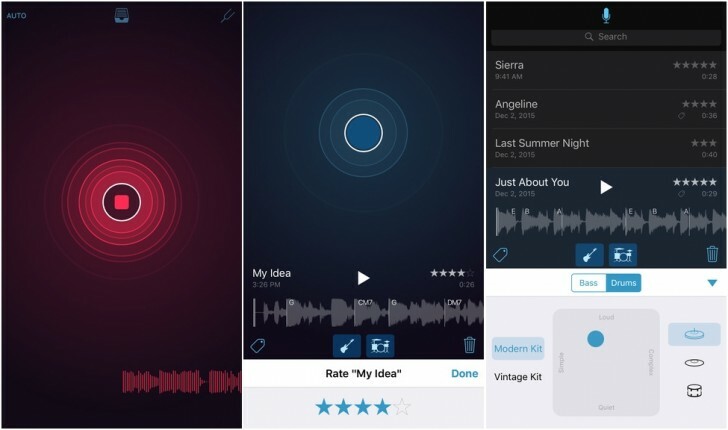 Called Music Memos, the app helps musicians instantly record their music whenever inspiration strikes. One might think that sounds like the Voice Memos app that already comes pre-installed on iPhones. The difference is that the Music Memos app can intelligently tell the difference between voice and instrument, and which instrument is being played. It can then analyze the tempo and rhythm and automatically adds a suitable drum and bass background to accompany your music. This way the music feels more complete while you are recording it and later when you're playing it back. The app is optimized for acoustic guitar and piano but also works with other instruments. Apple has a few samples for you to listen to on its website. Music Memos also records uncompressed audio, either through the built-in mic or an external microphone and you can build a library and then name, tag, and rate your music. You can also comment and share your recordings and they get backed up on iCloud and synced across your devices. The Music Memos app is available for free for iPhone, iPad, and iPod touch. Apple also updated the GarageBand app for iOS. The two main new features here are Live Loops and Drummer. 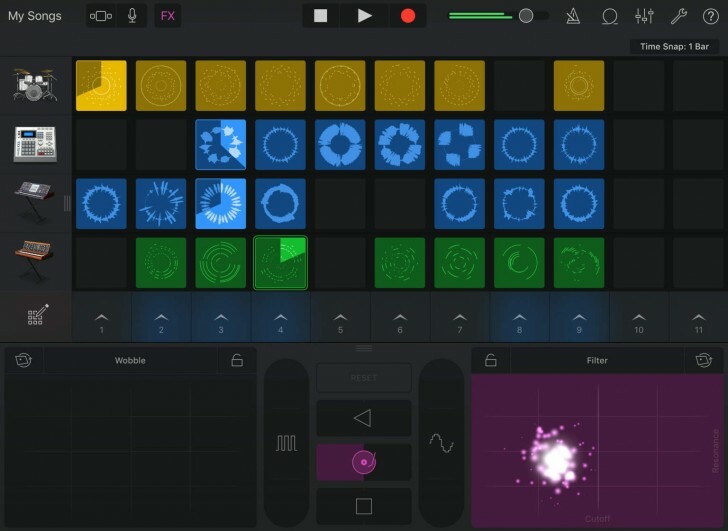 Live Loops brings a grid of loops that you can tap to play looping sounds. You can use the existing sounds or create new ones and then drag them around and rearrange them in the track flow to create your own arrangement. Drummer includes nine virtual session drummers with their own individual style. Just like in the Music Memos app, the drummers can listen to the music you are playing and automatically come up with a beat that goes along with what you're playing in an incredibly realistic manner that sounds like you're jamming with a real person. You can control every aspect of the drumming or switch to another one to suit your preference. Lastly, GarageBand for iOS also adds support for the larger, higher resolution display on the iPad Pro, and the 3D Touch on the iPhone 6s. Very interesting. Simple tool that will actually be a favourite for the music types.